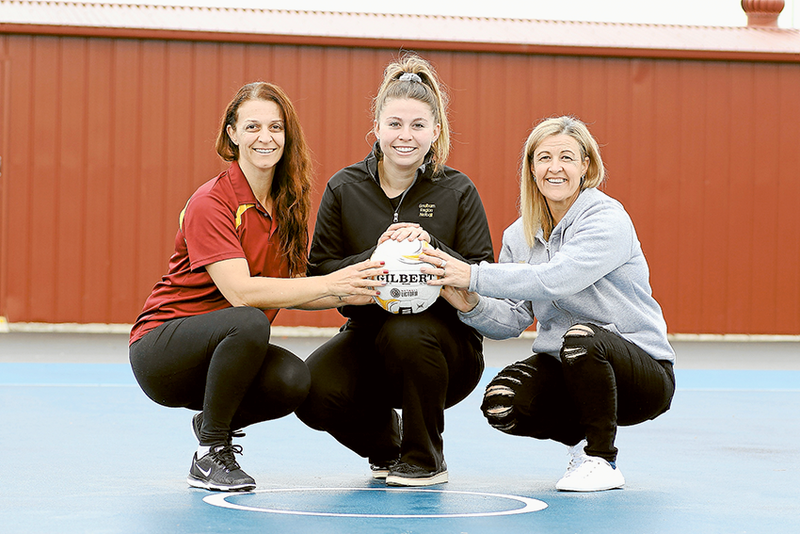 NETBALL COUP FOR CITY… Goulburn Region State Titles officer, Gina Sozzi, 15 and under assistant coach, Megan Trevaskis, 17 and under coach, Tania Orchard are looking forward to when Netball Victoria’s 2018 State Titles completion is held in Shepparton in October for the first time. Photo: Alicia Niglia. EXCITEMENT is building in Shepparton for when one of Netball Victoria’s largest competitions, the 2018 State Titles, which is going to be hosted in the area for the first time. Held from October 6 to 7, the event is expected to attract around 600 players, more than 200 officials and 500 plus spectators. 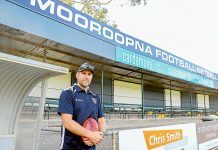 Goulburn Region State Titles officer, Gina Sozzi said, “I’ve been in this role for seven years now, so for us to have it in Shepparton is a huge advantage for us, not just for the players but the families as well. It’s also a great opportunity to showcase our local talent in front of the home crowd. 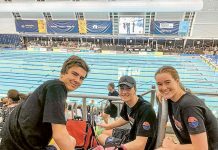 We are excited to announce our 17 and under coach is Tania Orchard and assistant coach is Georgia Ryan and our 15 and under coach is Di Hanslow and assistant coaches are Emma Clingnett and Megan Trevaskis. Trial dates for 15 and under are Sunday, July 8, Sunday, July 15 and Sunday, July 29 from 4pm to 6pm at Mercy Stadium, Skene Street, Shepparton. Trial dates for 17 and under are July 22 and July 29 from 4pm to 6pm at Mercy Stadium, Skene Street, Shepparton. For further information, contact Gina on 0400 861 818.